Blade & Soul (Hangul: 블레이드 앤 소울, Taiwan: 剑灵) is a fantasy martial-arts massively multiplayer online role-playing game developed by NCSOFT (Team Bloodlust). It's first launched in Korea. Recently, Blade & Soul Korean server get 2 much-anticipated functions - gender and race change. While, most players who are living outside of Korea are unable to sign up Blade & Soul Korean account. In 2014 after China commercial launch, the new Blade & Soul anime in Japan, Taiwan and Russia. 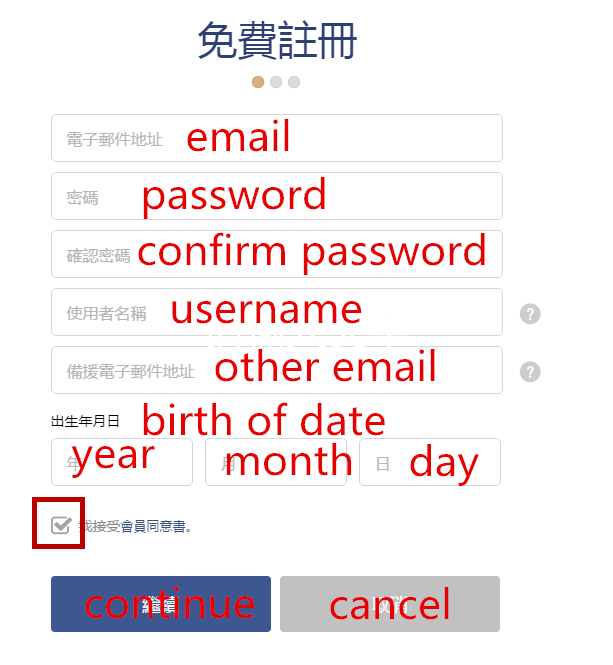 Taiwan, China, Russia's version are easier process than Korean's, much easy to make an account, no need kssn and subscription. BnS China was optimized for lower end computers, while Taiwan appears to be following the min requirements of the Korean version of the game. So I highly recommend play Blade & Soul Taiwan server. Step 1 - Access Blade & Soul Taiwan Official Website http://tw.ncsoft.com/bns/landing/index.nc. Step 2 - Sign up NCSoft Taiwan account on https://tw.ncsoft.com/ap/wb/signup/email/join. Step 3 - Download Blade&Soul Taiwan Client http://tw.ncsoft.com/bns/download/client. If you are outside of Taiwan, and unable to download BNS TW Client, connect to Taiwan VPN. Step 4 - Now create character for Blade&Soul to play. Ping to the Taiwan servers are different, depending on location. Connect to Taiwan VPN server is the fastest way to reduce lags. North American players can get a ping of anywhere from 150ms to 270ms to the Blade & Soul Taiwan without a VPN. With a VPN it can be reduced by 50ms to 80ms. 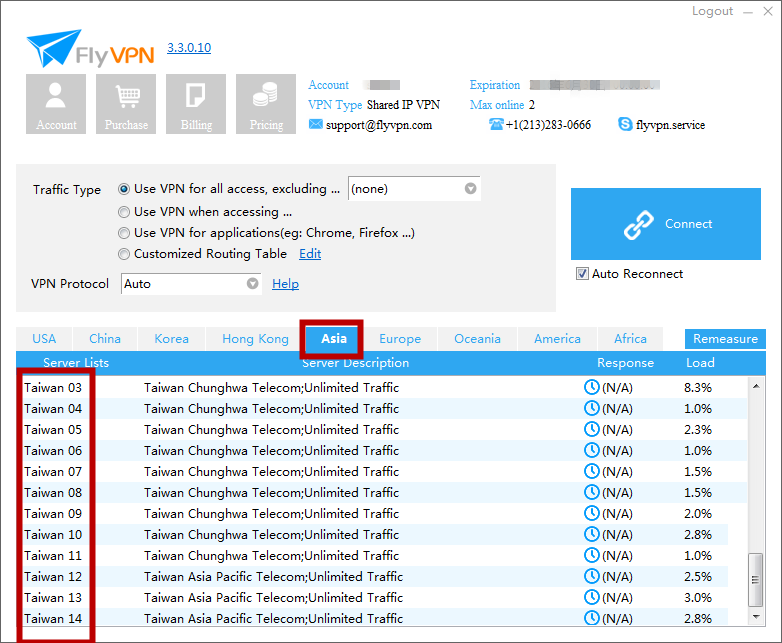 Here we choose FlyVPN, it provides 14 Taiwan VPN servers, all listed in Asia on their VPN Client. Several Taiwan VPN server are free. 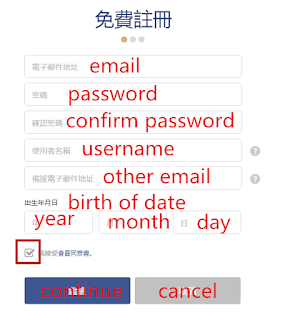 You can their free VPN accounts or sign up an accounts to test the free Taiwan VPN servers. Choose the servers with lower response time, they will be fast. Click on the server, then it will show response time. Enjoy Blade & Soul Taiwan now!